Aggressive Advertising vs. File Sharing: What’s the real evil? It is well known by now that malware has very firmly established itself in the world of mobile technology. Luckily though just as the phones get more sophisticated and thus vulnerable to more channels of attack so has their capability for anti-virus protection with companies such as AVG bringing out mobile specific versions of their software. However this does not mean that there are not subtler ways your phone could be infected. An article on the Guardian website today explains the think line between ‘aggressive’ advertising and malware. Now this interested my since I had just been reading the other big technology news of the day, Megaupload users could be about to lose all of the files they have uploaded. The American authorities have decided the website owes up to 500 million dollars in copyright infringements and have frozen both the website and all their assets. It has now been announced that data held on the site could start disappearing as soon as Thursday. This means that both legal and illegal files will disappear just the same; on a website which appears very legitimate with celebrity endorsements and a good name for itself. While I have never used it myself I can see why many people entrusted their backups to such a website. However this is where the issue for me really appears. Firstly that the American government have the power to do this to people all around the world, but this I guess we must accept and if you want to avoid the American policies use non-American based services. Secondly that they will go after a website such as this which is responding to consumer demand and would become essentially useless if they vetted every file uploaded whereas with spam, malware and especially aggressive advertising they do nothing. Now we all know this is due to who is paying money into the government/politicians but if they are to crack down so hard on file sharing they should surely be looking out for the everyday user too and going after those clogging up the cyber world just as hard. So yes apologies for the morning rant, I do try to avoid them, but these two stories appearing next to each other seem to show the wrong priorities. p.s. if you are looking for a decent app (aggressive advertising free of course!) then check out our FREE android bardecoder at the market place or the SDKs on our website. We have already covered Code 128 and Code 39 barcodes so it seemed right to move onto Code 25 barcodes. Now these are generally a much simpler affair than many other 1d barcodes since they only encode numeric data. Now this is no bad thing if you only want to encode numeric data to link up with a database since simpler of course means there is less to go wrong. This has made it commercially quite popular and has been widely used on cartons/grocery products. However although it is a simple barcode set it is worth remembering that there are still conventions which must be obeyed, which of course make it a safer read. There are only 2 widths of bar/space and each of the characters is made up of 2 wide and 3 narrow spaces. Importantly there is also a specific start sequence of narrow bar, narrow space, narrow bar, narrow space and an end sequence of wide bar, narrow space, narrow bar. There are various other specification which are worth knowing about if you are still having difficulties and these can be found well explained on our knowledge base. Identify odd/even character positions. The right hand most character is always even. Sum all the characters in odd positions. Sum all the characters in even positions and multiply by 3. Determine the smallest value, which when added to result of step 4, gives a multiple of 10. This is the cheksum character. This obviously decreases the chance of a misread, but remember as said in earlier posts, it only decreases the chance so if you are processing large volumes of barcodes and need highly reliable data there is no replacement for good quality barcodes and scanning! Following on from last weeks post about how store barcodes work, and the limitations of checksums which is often missed, here is a guide to what makes a Code 3 of 9 Barcode. The basic principle is that it is two different widths of bar/space (kind of like the principle of morse code) which represent symbols from a set of 43 characters containing letters, numbers and some special characters (punctuation essentially). Each of the characters is made up of 5 bars and 4 spaces with a space between each character. Therefore by simply counting the number of bars you should be able to work out whether you have a valid code 39 barcodes. The checksum is seen by many as a guarantee that you don’t receive a misread. However if you understand how it works then it becomes clear that it only reduces the chance of a misread. Code 39’s checksum is modulus 43, which in English means that if you add up the value of all the characters (letters have numeric values too) and then subtract 43 you are left with your checksum. I have included an example below. For example, if you are encoding the string ABCD1234 then the checksum values will be 10 + 11 + 12 + 13 + 1 + 2 + 3 + 4 = 56. 56 mod 43 = 13. So the checksum character should be D.
Therefore although greatly reducing the chance of getting a false read it can still produce a misread in a certain percentage of cases, which may be a very low percentage. However if you are processing thousands of barcodes a day, relying on checksums to make up for shoddy scanning, don’t be surprised at various anomalies. For more information please see our website’s knowledge base. If there is anything else you want to know about Code 39 barcodes, or any other barcodes, then just comment below! I found today a very clear guide on how barcodes work, so figured it was worth sharing. 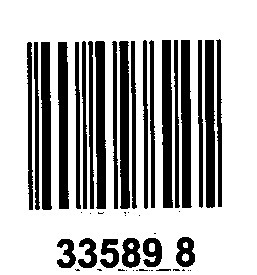 Although the video claims to explain ‘how barcodes work’ it should be remembered that this is simply a UPC A barcode, one of many different types. However the principle of checksum characters and how the computer/scanner reads the barcode is able to be applied generally. The key parts which are worth remembering is how the computer works out which line of a barcode is black and which is light. It may appear obvious but many people struggling to read barcodes are actually just facing issues due to a low scanning resolution where the lines run into one another. Another point to remember is that the checksum is only a ‘check’ and can still return a seemingly correct result when it is not correct. Therefore the inclusion of a checksum character is no replacement for good quality barcodes. Let me know if you have any further questions about 1D Barcodes or checkout our knowledge base for barcode specifications. I have written a lot recently about adoption issues (and adoption successes) for QR Codes which appear to be going from strength to strength. It always astonishes the objections luddites wheel out at the hint of new innovations and I decided to look back to the emergence of 1D barcodes in the 1970s (I am aware they were in use earlier but it was not until the 1970s that they hit the mass market and were used in shops etc.). Once supermarkets had persuaded manufacturers to put barcodes on their products, no mean feat in itself, so they no longer had to apply stickers to everything they stocked, the barcode was rapidly adopted across the country. However many customers were quick to complain; since this being the era of Star Wars many associated the red laser of the scanner with what they had witness on the silver screen. Accusations quickly arose that the light was blinding or burning people. Although I am sure that this was simply a case of a few isolated cases it does put into perspective any issues which 2D barcodes are currently encountering with the fear that people don’t know what to do with them. These issues will work themselves with time and ultimately it will be the early adopters who reap the rewards from the huge amount of extra information which can be contained in the same space with extra redundancy. For more information head over to the Softek knowledge base. If you have any questions or queries then feel free to let us know what you want to see on the knowledge base. Softek’s Bardecoder Application hits the Android Marketplace… for Free! Softek Software are very proud to announce that we have now made freely available the ‘Bardecoder App’ for android which can be downloaded at the market place. After months of development we believe that it is a top notch reader of QR Codes. Anyone who has read this blog regularly will realise that we have been quite preoccupied by QR Codes of late and they are the most obvious barcode for use with this application; although it does work with other types. This has meant hours of searching magazines for the little QR Codes and attempting to read them in poor light and at ever more awkward angles. Luckily for us, a company mainly full of cycling enthusiasts, it appeared cycling magazines had by far the highest concentration of QR Codes per page. Basically though we think the Bardecoder app is great stuff and would love to hear your thoughts. So if you have an android phone, and especially if you already use another barcode reading app, then please head over to the market place, give it a go and leave a comment. Also if you are interested in integrating our software with your android or iPhone application then head over to our website to give our mobile software development kit a go. What are your main considerations for a mobile barcode reading application? Or equally as important are you someone who owns a smart phone but does not have a barcode reading application? Although 1D barcodes may largely look similar there are in fact a multitude of types; all with their own unique characteristics. It is these unique characteristics which determine which is best for which job. The most widely used and widely recognised barcode is probably the Code 2 of 5 (or Code 25) barcode and can be used in many different situations when linked to a database. In addition to several very versatile barcodes there are also several highly specialised and specific barcodes such as SCC-14 which is used for shipping containers; although based on UPC. With such variety out there it is important to make sure that the correct barcode is used for the job. It is very often the case that the when people contact us about a difficulty reading a barcode the root of the problem is poor selection. For example if you require highly reliable data then ensure a barcode with a checksum is used, although it must be noted that this only stops a percentage of errors. The correct barcode is worthless if scanned or printed poorly. Therefore when I stumbled across this website I was greatly impressed. It tells you the main characteristics of each barcode and has an interactive barcode guide to help point you in the correct direcention. Don’t be put off by the slightly odd looking lady in the corner, the information here is worth a look if you think the barcode you are currently using isn’t quite up to the job. However this website does not really venture into the world of 2d barcodes where far more redundancy and security can be found. Furthermore many barcode readers such as the Softek Barcode Reader SDK now charge no extra for the ability to read 2d barcodes. Got to be worth a go?